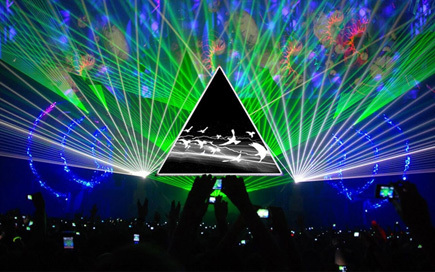 Pink Floyd fans and those interested in hearing the band’s music like they’ve never experienced it before will want to get comfortably numb Saturday at the Ocotillo Performing Arts Center as the Artesia Arts Council and Elite Well Services present Laser Spectacular, featuring the sounds of one of rock’s most legendary bands. Pink Floyd rose to fame in the 1970s on the legs of albums such as “The Dark Side of the Moon,” “Wish You Were Here” and “The Wall.” Their hits, including “Money,” “Us and Them,” “Eclipse,” “Shine On You Crazy Diamond,” “Have a Cigar” and “Another Brick in the Wall” have become some of rock and roll’s most recognizable, and their album “The Wall” spawned a cult classic film. Laser Spectacular uses cutting-edge effects, including full-color lasers, multi-screen video projection, and concert-quality sound and lighting to enhance the two-and-a-half-hour show. Audiences members of all ages – who will view the experience through special 3D glasses – will be drawn into the progressive rock sound of Pink Floyd in a whole new way. Tickets are $27 each and may be purchased online at www.artesiaartscouncil.com or by calling the OPAC box office at 746-4212.